Gosh, look, Kuro has set up all of Hunter's favourite things for his Birthday! This kitty turned 25! 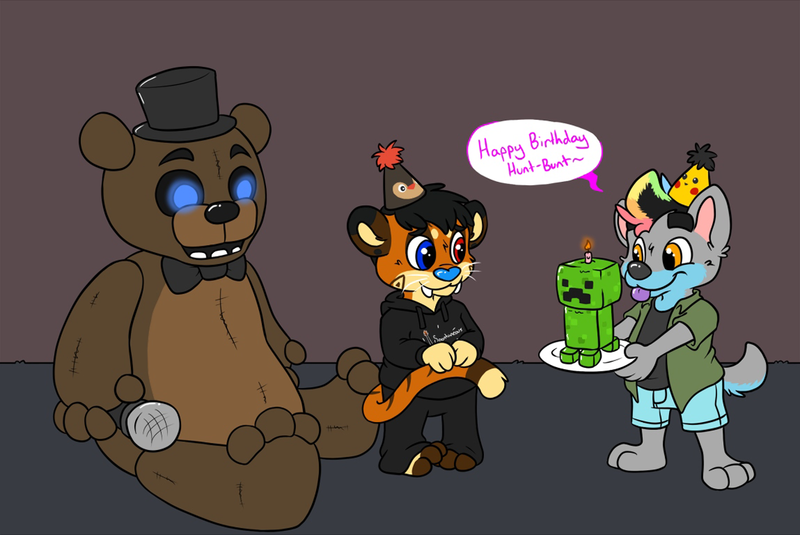 Let's share the cake and sit in Freddy's lap. :'3 I'd offer him cake too, of course! Go watch him! He draws super cute stuff!